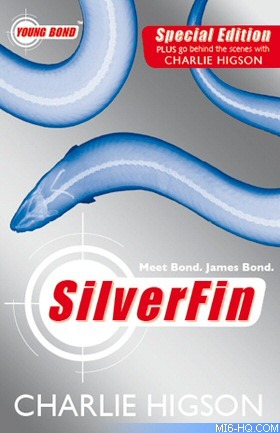 New hardback and paperback editions of Young James Bond's debut novel "SilverFin" by Charlie Higson will be re-released on 5th May 2011. Both will be 400 pages long and include a new introduction from the author, Higson. The cover of the hardback is purported to include glow-in-the-dark elements, sold in a perspex slipcase and signed by Charlie Higson. The hardback is limited to 1,000 copies and will retail for Â£50.00. The special edition paperback (pictured below) has been subtly redesigned and will sell for Â£7.99. Pre-order the limited edition hardback signed by Higson. Pre-order the redesigned paperback with new introduction.